When it comes to places to visit in Slovakia, Bratislava gets the bulk of visitors, eager to soak up the city’s nightlife, old-town cafés and check out the quirky socialist era architecture. As the country is home to the towering alpine peaks of the High Tatras, the highest section of the mighty Carpathian range, there are huge opportunities for hiking and skiing in Slovakia too. The Tatra mountains attract visitors looking for a more outdoorsy, active experience and in winter Jasna, Slovakia’s best ski resort nestled in the Low Tatras National Park, has it’s time to shine. Despite being one of the lesser visited countries in Europe, Slovakia is well known as a nature lover’s paradise. There’s so much diversity to this small central European nation, from rolling green valleys and forests, more than 6,000 caves, rivers and glacier lakes, and more castles and chateaus per capita than anywhere else in the world. 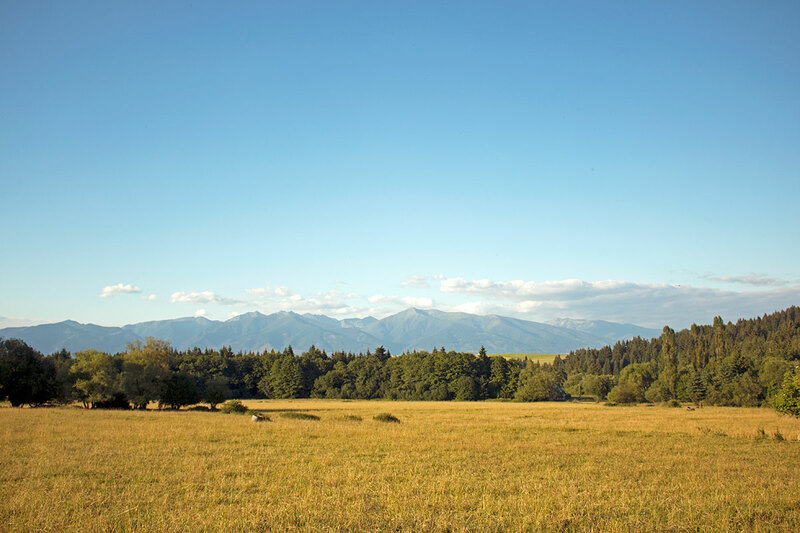 With nine national parks and fourteen protected areas, getting out in nature in Slovakia is certainly not a problem. 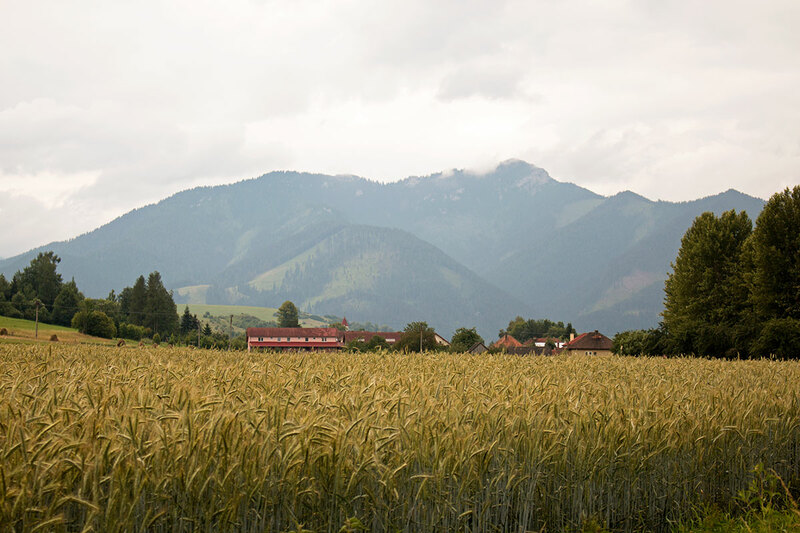 We spent ten days in Slovakia this summer hiking, biking, soaking up Slovak culture and generally enjoying nature just outside of Liptovský Mikuláš, the jumping off point for exploring Jasna and the Liptov region. With access to the mountains, numerous nearby lakes, thermal hot springs to relax in and caves to explore, there’s so much more to see and do in this part of the country besides hitting the slopes. Well, of course, you should do that too – but sometimes the weather doesn’t play ball or you may simply find yourself in the area in the summertime like we did. Here’s our guide to Jasna, Slovakia’s adventure capital and all the things to do in the area – whether there’s snow on the ground or not. 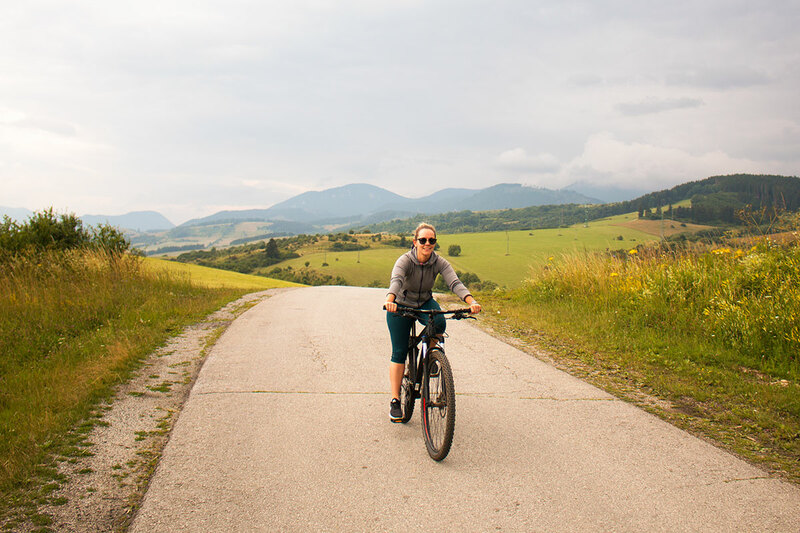 With numerous cycling trails and a fantastic 50km circuit trail around Liptovská Mara, getting around on two wheels is a great way to explore the area. We cycled the loop around the lake takes in about four hours at a handy pace, stopping to take photos along the way. It’s an easy enough cycle with just one steep section after Bešeňová if you go clockwise around the lake like we did. You’ll pass through some quirky little Slovak villages and have epic views of the Low Tatras and Western Tatras as you go. We really enjoyed the cycle and cycling always gives you an opportunity to slow down and really appreciate your surroundings. Adrenaline junkies or those looking for a slightly more adventurous kind of cycle are covered because, in summer, Jasna becomes a mountain biker’s dream. Giant Bike Park Jasna offers terrains and obstacles for all levels of bikers from experienced riders to families looking for an easy-going activity to pass the day. 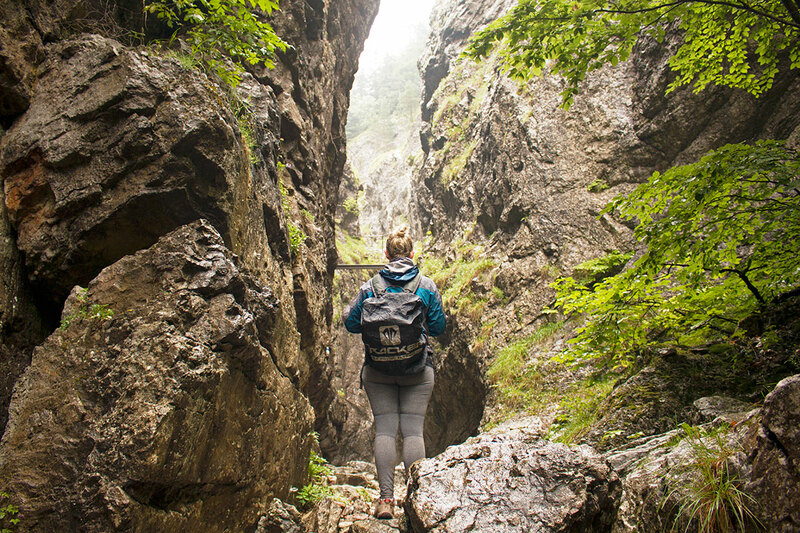 Slovakia is a hiker’s paradise and with plenty of national parks and protected areas in the country, it’s really no wonder. From Liptovský Mikuláš, the Western Tatras and the Chočské Vrchy are located just to the north, the Low Tatras are just to the south, the Greater Fatras are to the west and the High Tatras are a little further away to the east. By making the Liptov region your base, you’ll have a huge variety of hikes, treks and trails on your doorstep as all ranges are within quick easy reach. 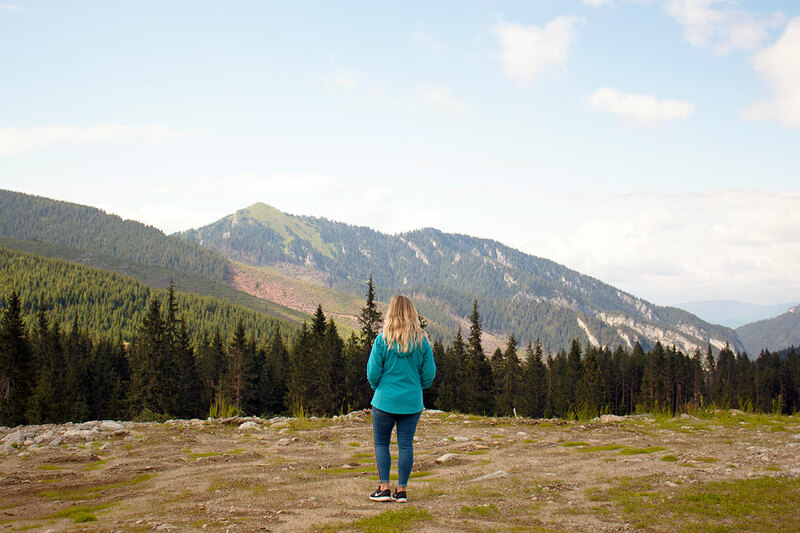 We did two incredible, completely different hikes while we based ourselves in Liptovský Mikuláš, one in the Western Tatras and one in the High Tatras. From Jasna, you can easily access the Western Tatras where there is a variety of different hikes to choose from. 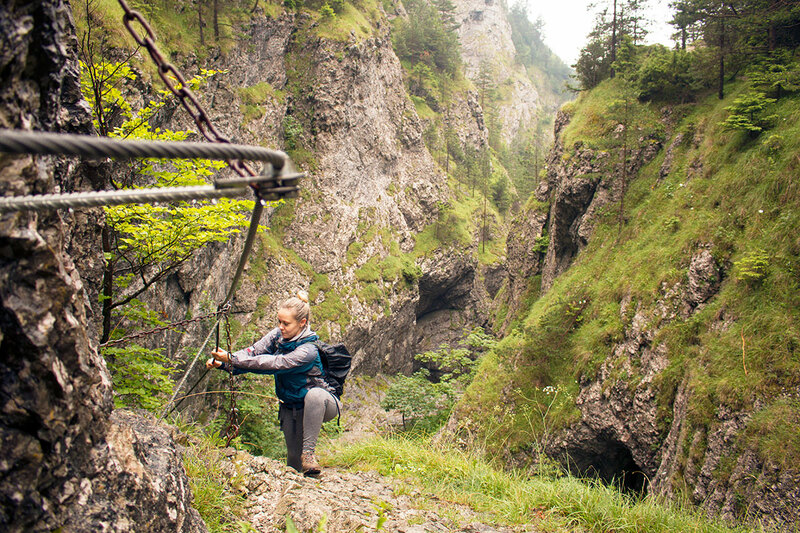 We walked the Prosiecka Valley – Kvačianska Valley loop as it’s known as the most beautiful of Slovak valleys and with its ease of access, it is one of the most visited too. You’ll first pass through the incredible Prosiecka Dolina (Dolina means valley in Slovak), a 4km limestone karst valley that was carved by the river into the mountains. When you climb to the top you’re rewarded with jaw-dropping views of the deep, narrow valley below. Looking up at Prosiecka Dolina – an incredible 4km long limestone karst valley. 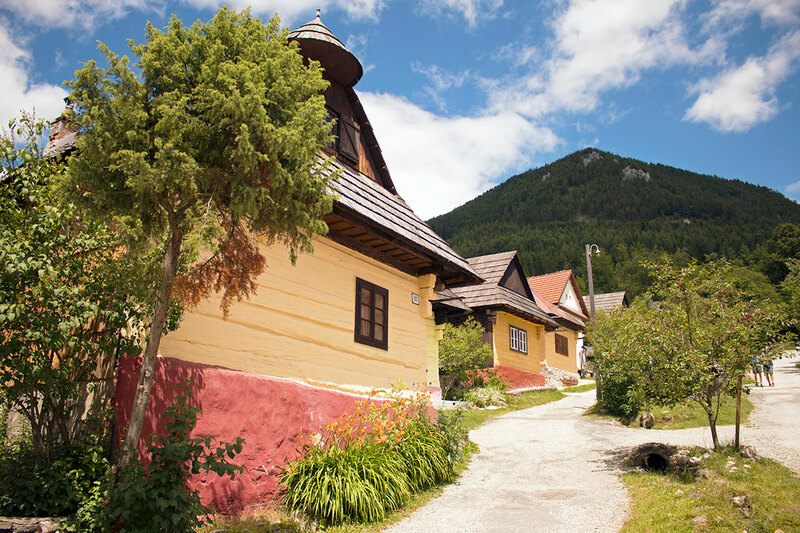 You’ll also pass through Veľké Borové, a traditional village where you’ll see a great example of Slovak folk mountain architecture. As you continue to the Kvačianska valley you pass through Oblazy, an ancient wooden water mill. Be sure to go in for a look around as it’s still functional and seeing the mill in action is really very interesting. Next, there’s a short steep walk up to the highest point of the Kvačianska Dolina, a canyon-type valley so it offers incredible vertigo-inducing views on a platform hanging over the edge. You’ll pass waterfalls, small caves, deer and mountain goats as you go. This walk takes roughly 6 hrs and starts and ends in Prosiek. You can also opt, like we did, to finish in Kvačany and catch a bus back to Liptovský Mikuláš to make the walk a little shorter as the walk from Kvačany to Prosiek adds on just over an hour. You could also split it in two days walks and do each valley separately. Either way, it’s a very nice day walk with incredible views and should definitely be checked out if you’re in the area. Tip: Be sure to pack a lunch and bring enough water and snacks to cover you for the day. Apart from Veľké Borové, which seemed very sleepy to us, you don’t pass through any other places to buy food. The views while hiking in the High Tatras are incredible! From Jasna, you can easily access the High Tatras National Park either by driving or jumping on a short train to Štrba or Poprad. We absolutely love hiking and always try to climb a country’s highest peak independently when it’s accessible and within reach. 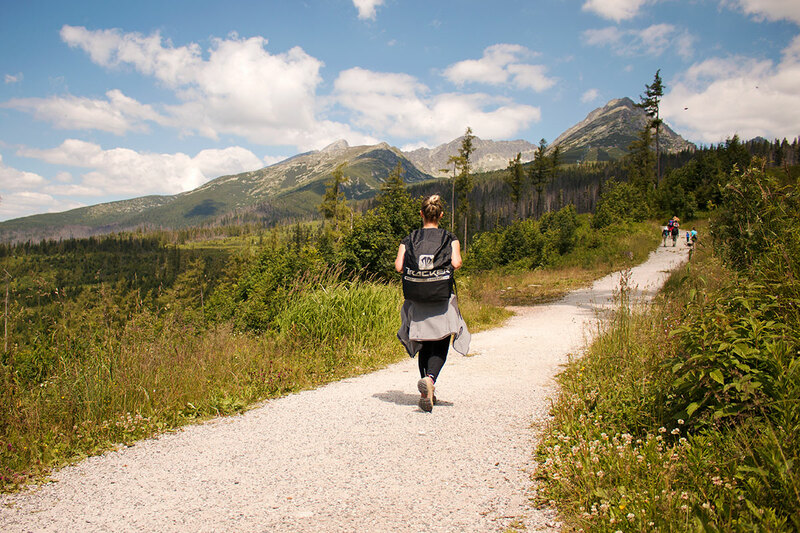 We had always heard that the High Tatras is home to some of the best hiking in Slovakia and in Central Europe and there are loads of walking opportunities available from short two-hour walks for families, longer hikes through valleys up to scaling majestic peaks. 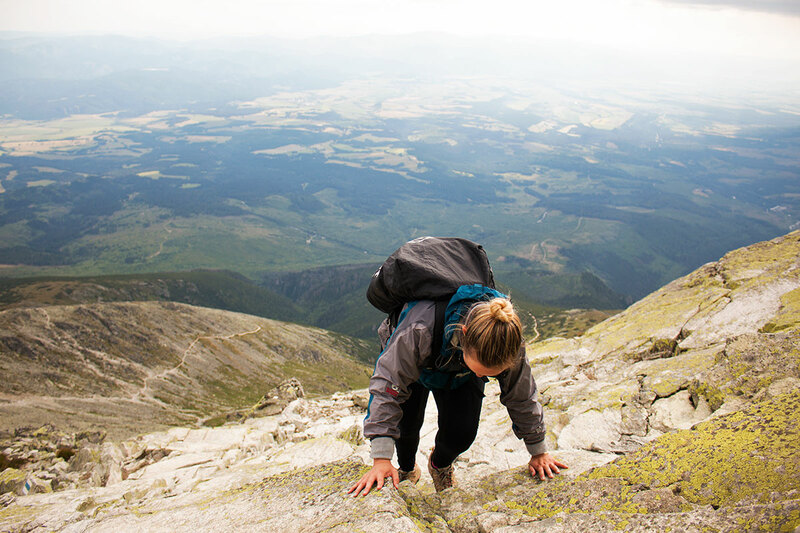 With a chance to climb some epic jagged mountains so close to hand and easily accessible from where we were, with the best months to climb being May to September, we just had to do one big hike in the High Tatras while we were in the Liptov region. 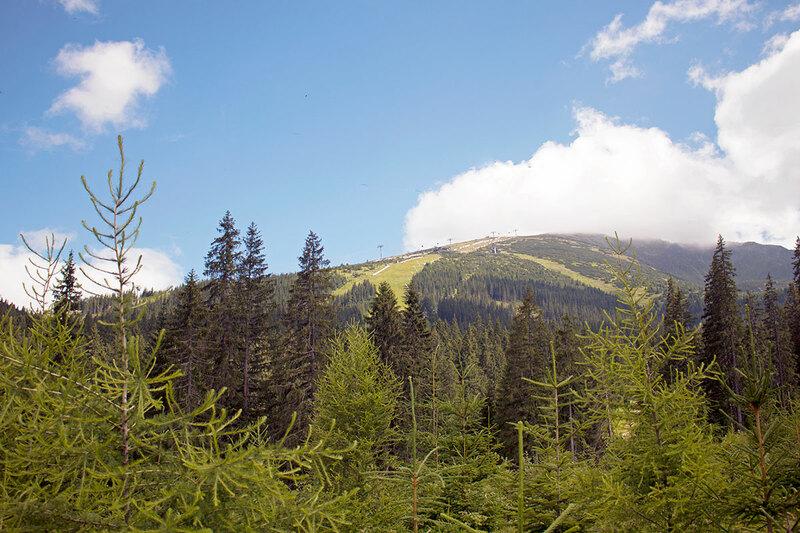 After doing some research we discovered that you need to take a guide to hike Gerlachovský Štít, the highest mountain in Slovakia, and only a handful of the Tatras peaks can actually be visited without a mountain guide. After spying it peeping through the clouds one day with its conspicuously curved summit, we instantly knew that Mt Kriváň was the one we wanted to bag. 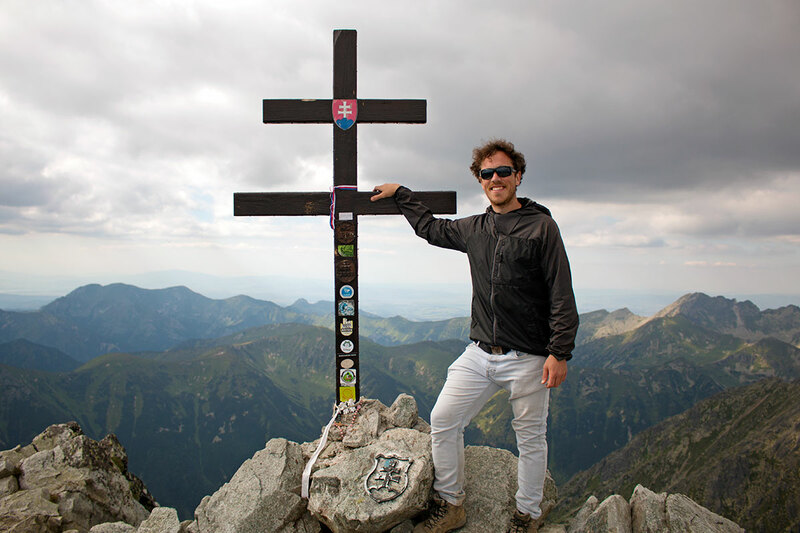 Standing at 2,494m, while it’s not the highest peak in Slovakia, it is one of the most well-known peaks in the country and the second highest mountain that you can hike independently. Kriváň meaning ‘curved mountain’ in English, is the national symbol of Slovakia and the distinctive peak even features on Slovak 0.01c, 0.02c and 0.05c euro coins. Considered to be Slovakia’s most beautiful mountain, it is said that every Slovak should climb Kriváň once in their lifetime. Well, we’re not Slovak but we were well up for the challenge so we hopped on the train in Liptovský Mikuláš and headed to Štrba. From there we took the funicular train up to Štrbské Pleso where we would begin our ascent of Mt Kriváň. The views along the way to Štrba and Štrbské Pleso make the journey worth it alone, even if you don’t do any hiking when you get there. It’s a tough enough hike and took us a whole day, roughly ten hours. It’s even a bit of a scramble close to the top and it’s quite exposed so if you’re really afraid of heights, keep that in mind. 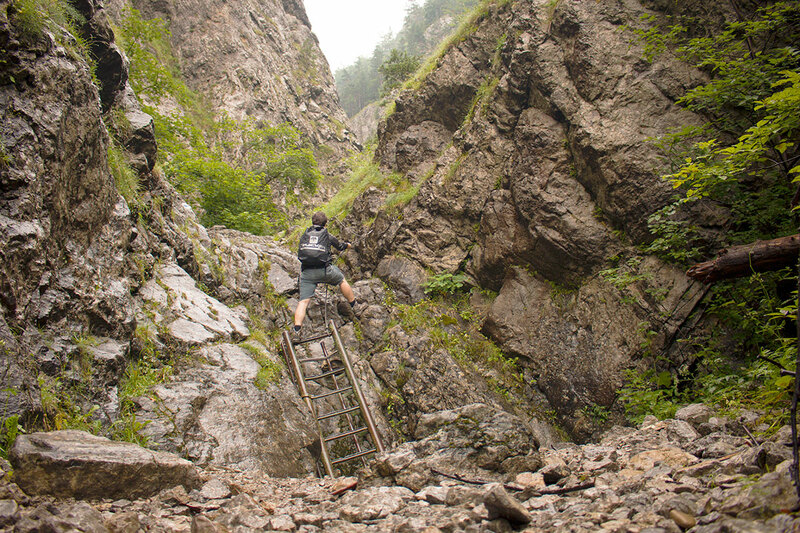 There are no chains or supports so on a wet or windy day it would be quite difficult and dangerous so be sure to check the weather before you attempt to climb Kriváň. 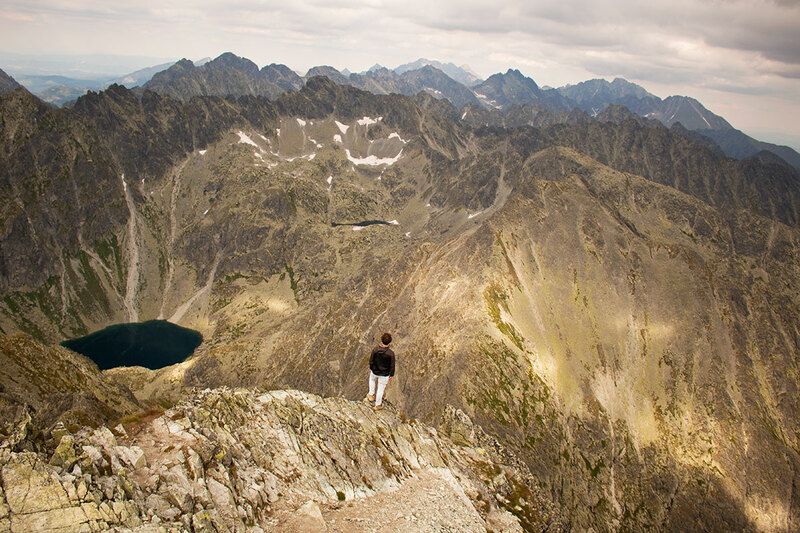 The panoramic views of the High Tatras from the top are breath-taking and will make you forget the strenuous hike up. 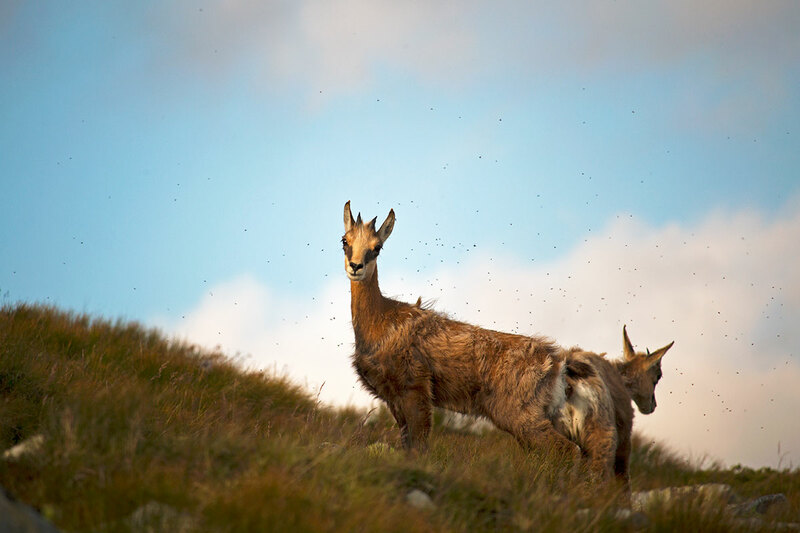 Keep an eye out for chamois, cute deer-like creatures which we saw, and marmots, a large squirrel, on your way. Tip: Check the weather before you attempt to climb Mt Kriváň. Here’s a local weather website for more accurate and up to date weather in Liptovský Mikuláš. As Jasna itself is located in the Low Tatras National Park, there are tonnes of hiking trails in the area. You can always take the gondola up to the top of Chopok for epic views of the High Tatras and the Western Tatras. 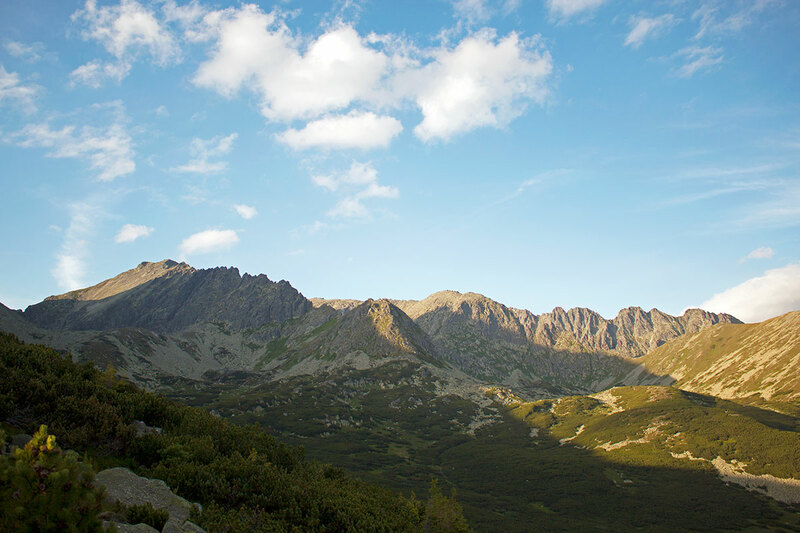 From there you can walk up Mt Ďumbier – the highest peak of the Low Tatras. You can walk along the top of the range using the gondolas and lifts to get up and down. There are loads of routes to choose from so check out all the hiking trails in the Low Tatras here for more info. Yes, you read that right – I did say go to the beach, a typical activity in a coastal country but isn’t Slovakia landlocked? 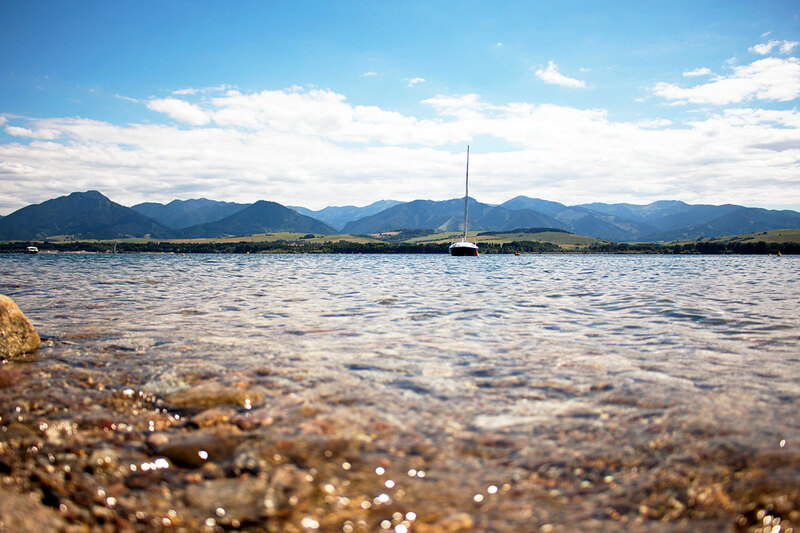 Yes, it is a landlocked country but with 183 mountain lakes in Slovakia, there’s the opportunity to hit up the beach, lakeside. 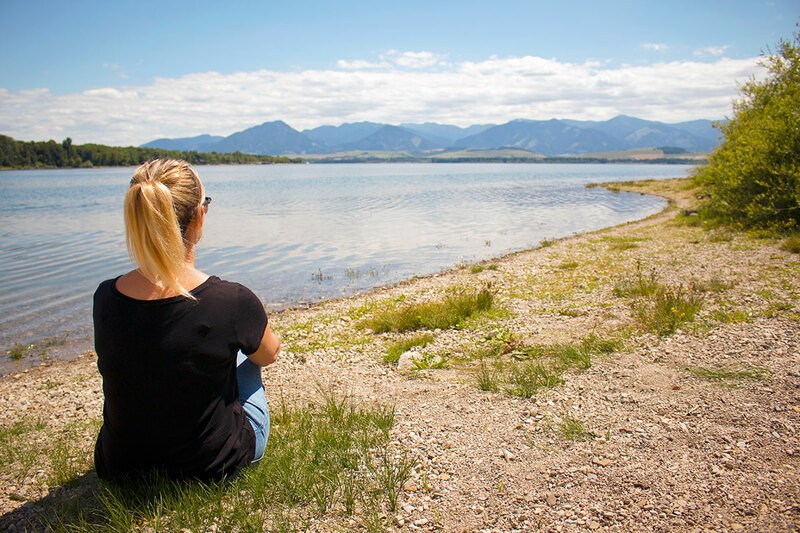 Near Jasna, known as the Liptov Sea, Liptovská Mara is the largest man-made lake in Slovakia and it has some lovely sandy beaches around its edges. Mara Beach at Liptovský Trnovec is the biggest and with campground facilities available, you can even sleep right on the beach. 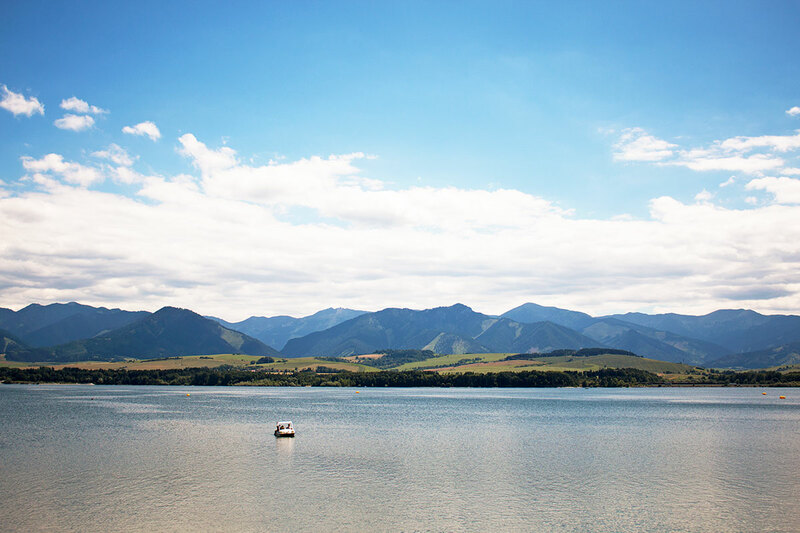 Liptovská Mara has the first public lakeside marina in Slovakia and in the summer season you can get out on the water too with sailing trips around the lake on offer. With its nickname of the Liptov Sea, it makes sense that there are loads of water sports and water-based activities available here too. There’s even a yacht club in Liptovský Trnovec as well as a windsurfing school. You can try your hand at wakeboarding, waterskiing, windsurfing, and kayaking as well as renting pedalo boats and rowboats. There’s also the option of white water rafting and canoeing in the region as the Váh river, the longest in Slovakia, rises in Liptov. Happy out on the slopes! With more than one hundred ski resorts in Slovakia, if you’re visiting the area in winter, then you will undoubtedly be eager to pack in some downtime – skiing or snowboarding down the slopes that is. Out of all the resorts to choose from, Jasna Ski Resort in the Demänovská Dolina is the biggest and best ski area in the country. Connected by a typical combination of 27 chairlifts, gondolas and drag lifts, 50km of marked trails tumble down the north and south sides of Chopok at 2,024m. Yes, that’s Brian flying down the mountain! There are plenty of gentle slopes for beginners and families and experienced skiers and snowboarders are well catered for too with 12 “off-piste” freeride zones to choose from. There’s night skiing available on one illuminated slope at Biela Púť. If all that’s not enough to get your adrenaline pumping, there’s a terrain park if you’re keen to practice some flips, grabs or 180’s! 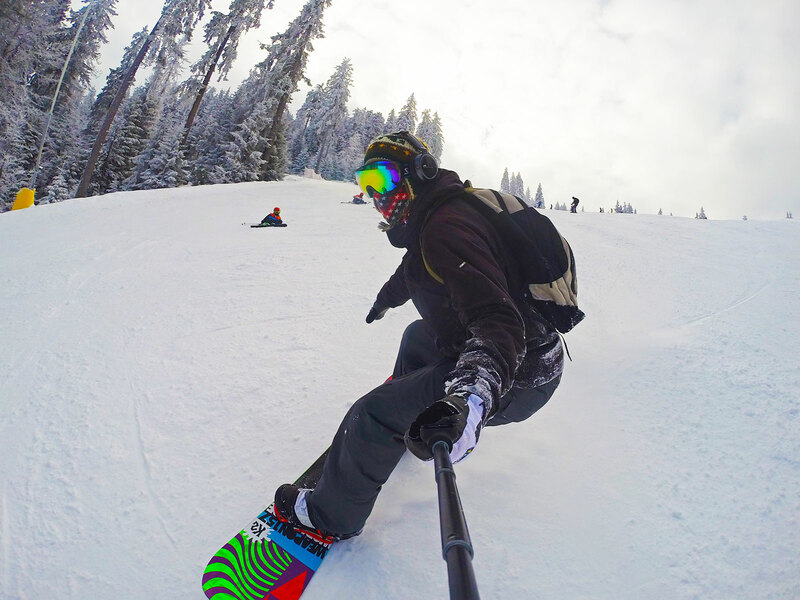 Whatever your level, you’ll find everything you need for an excellent ski holiday in Jasna. Not only is Jasna the largest ski resort in Slovakia, but it’s also the largest ski resort among the Central European countries of Poland, Czech Republic, Hungary and Slovenia. 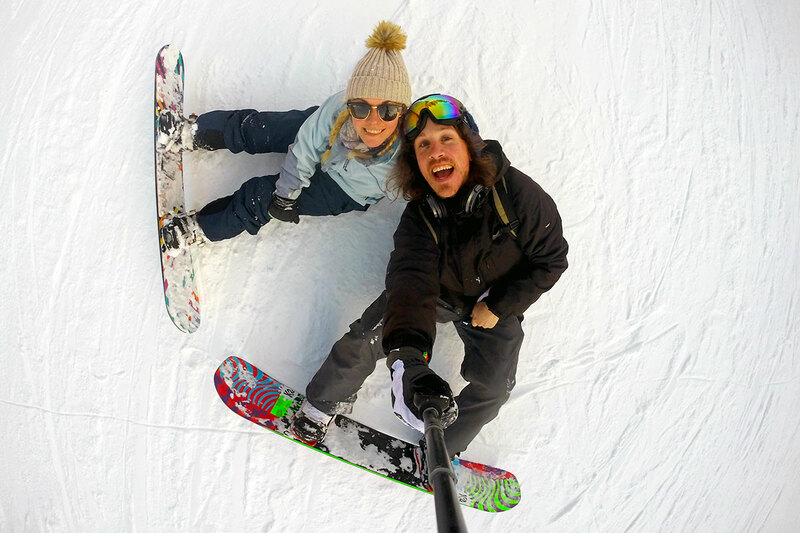 With excellent value for ski passes, gear rental, accommodation and après ski (€2 pints on the slopes anyone? ), Jasna offers an excellent ski experience at a fraction of the cost of more well-known resorts in the Alps. The ski season in Jasna starts in early December and runs until the end of April, allowing plenty of time to squeeze in a quick winter getaway that won’t break the bank! If you’re not up for hiking or skiing, there plenty of other activities you can get up to while in the Low Tatras. In summer, adrenaline junkies can get their hit with skydiving, paragliding, and bungee jumping available. For activities the whole family can enjoy, there’s zorbing, quad biking and horse-riding available in the area. If the weather is bad, don’t worry! You can keep yourself entertained inside by trying out indoor skydiving, try and hang ten at the indoor surf wave in Tatralandia or channel your inner Mario and Luigi with indoor go-carts. You can also go paintballing, bowling and play tennis and squash. In winter you can rent a snow scooter to motor around or you can attempt your best Jamaican accent a la Cool Runnings and try some bobsledding. Ya man! From September to February, you can even blend in with the locals and catch an ice hockey game in Liptovský Mikuláš, one of the most watched sports in Slovakia. Even if you’re not up for a long, strenuous hike, you should still spend a day hanging out in the High Tatras. 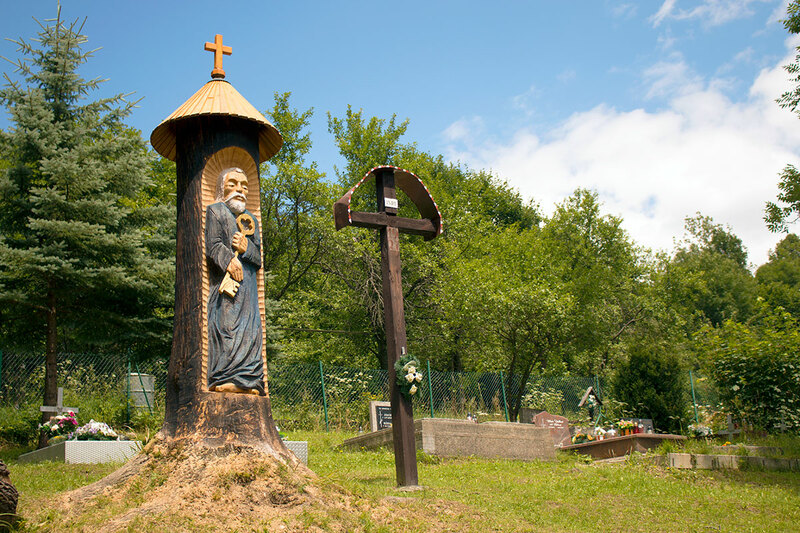 There is so much to do in the area, with numerous cycling routes, hiking trails and cable cars at Tatranská Lomnica. At Štrbské Pleso, you can walk around the beautiful glacial lake, rent a rowboat and row yourself around or take a short walk over to another lake, Jamské Pleso. You can even just sit and have coffee lakeside at one of the numerous hotels, cafes and restaurants in Štrbské Pleso with the High Tatras as your backdrop – amazing! 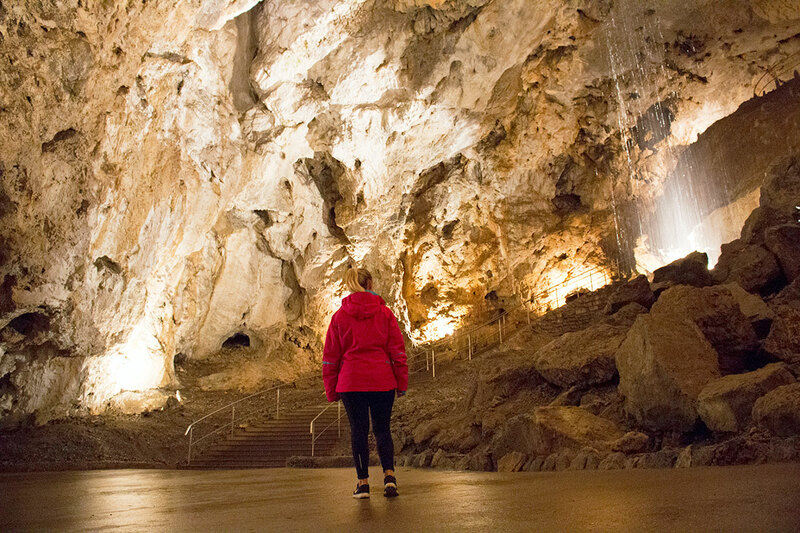 With over 6,000 caves in Slovakia, there are (literally) thousands to explore. Conveniently located 13km outside Liptovský Mikuláš in the Demänovská Valley on the left-hand side of the road to Jasna is the longest cave system in Slovakia, Demänovská Jaskyňa Slobody or Demänovská Cave of Liberty. Linking up with other cave systems to continue for over 40km, this is a truly impressive natural attraction to visit if you’re in the area. 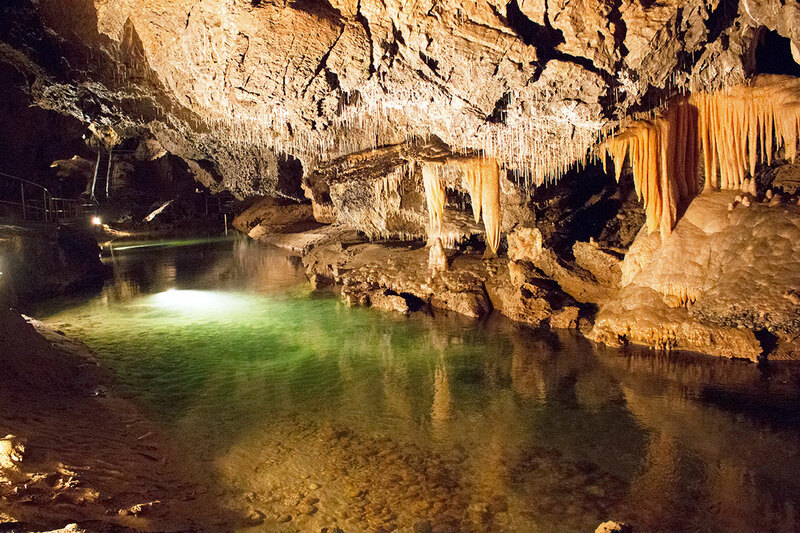 With underground lakes, rivers, great halls and loads of columns and formations visible in the stalagmites and stalactites, it’s really impressive and is the most visited cave in Slovakia. Having been to caves in New Zealand, Vietnam, India, and Gibraltar, we weren’t expecting this to be as impressive as it was and it really blew us away. 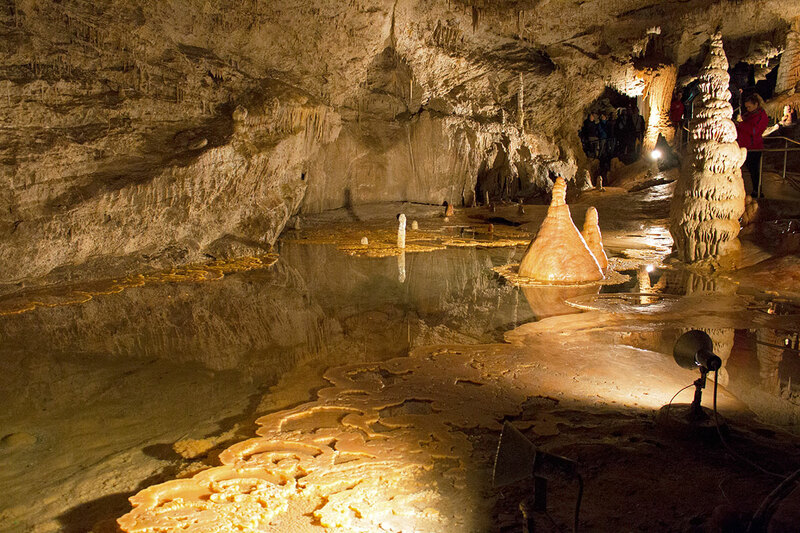 Demänovská Cave of Liberty is the most visited cave in Slovakia – with good reason! If you’re craving even more underground exploration, you can easily check out the nearby Demänovská Ice Cave too, 3km closer to Liptovský Mikuláš on the same side of the road. The town of Východná, located just 23km outside of Liptovský Mikuláš on the train line that links Bratislava and Košice, offers great views of the High Tatras on a clear day. 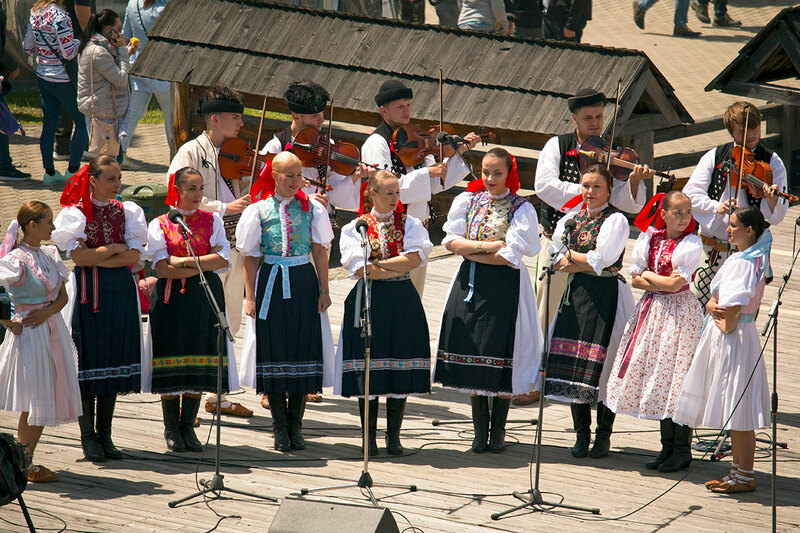 When it comes to cultural festivals in Slovakia, the annual Východná Folk Festival is the largest display of Slovak folk culture there is. The festival takes place in early July and we were lucky enough to be in the area while the festival was in full swing. 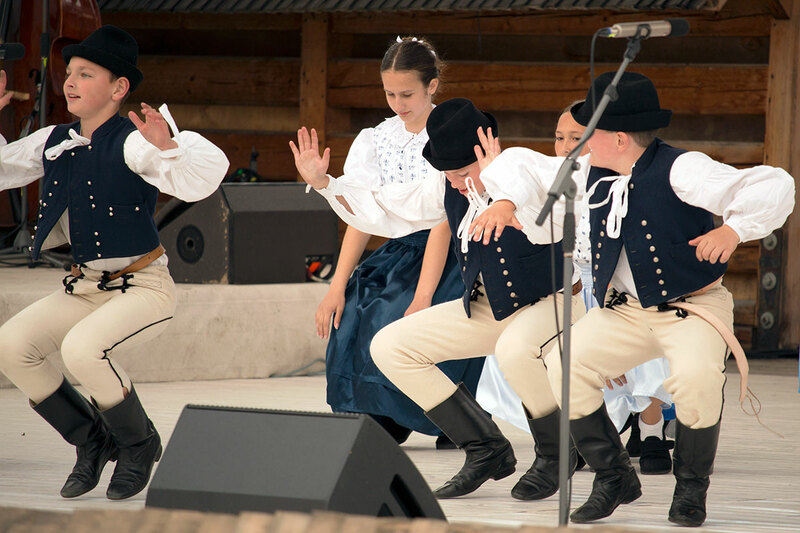 It was truly an extravaganza of Slovak culture with scheduled music and dance performances in the amphitheatre, local craft demonstrations and handicraft displays, impromptu music and dance performances among the stalls, heaps of mountain cuisine to sample, people dressed in their best traditional clothes and everyone generally having a great time. If you go, look out for a fujara, a traditional Slovak flute that can be up to four or seven feet in length and kind of looks like a giant flute crossed with a didgeridoo. We were even lucky enough to be treated to an impromptu performance at Východná after asking one of the friendly locals for a demonstration. So cool to see this bizarre instrument in action! Nestled in the hillside of the Veľká Fatra just outside the town of Ružomberok, the tiny mountain hamlet of Vlkolínec feels like a village completely frozen in time. Added to the list of UNESCO World Heritage Sites in 1993 due to its perfectly intact wooden folk architecture, it feels like you’ve walked on to a set from The Lord of The Rings or have somehow been transported back in time. 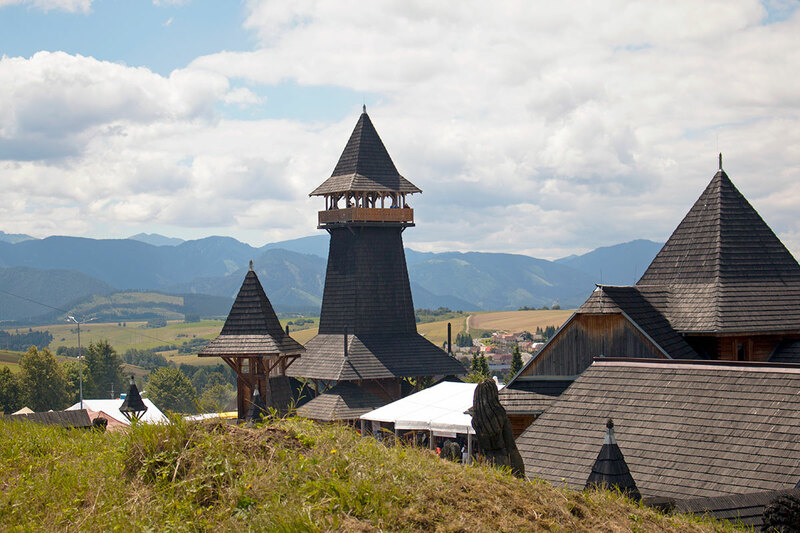 Located 32kms west of Liptovský Mikuláš, it’s a must-do for those interested in folk architecture while in the Liptov region. Vlkolínec features 43 perfectly preserved medieval wooden log houses dating back to the 14th century, painted in bright pastel colours to transport you back in time as you get a perfect snap for the ‘gram. Old meets new! There’s also a preserved wooden bell tower built in 1770, and a slightly more modern church and a rustic well from the 19th century. 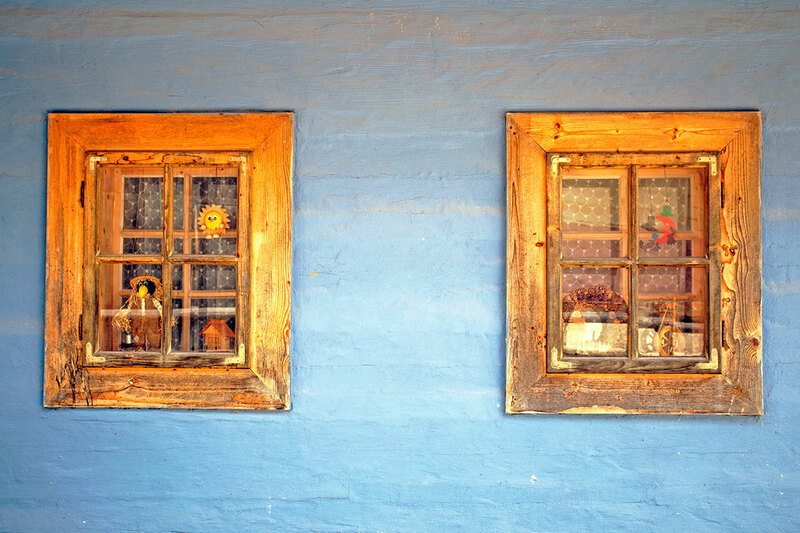 Be sure to check out the small museum dedicated to peasant life. There’s also a small art gallery and a shop. You can visit year-round from 9 am to 5 pm every day. There’s even the option to stay in some of the houses too – what an epic way to switch off from the modern world. 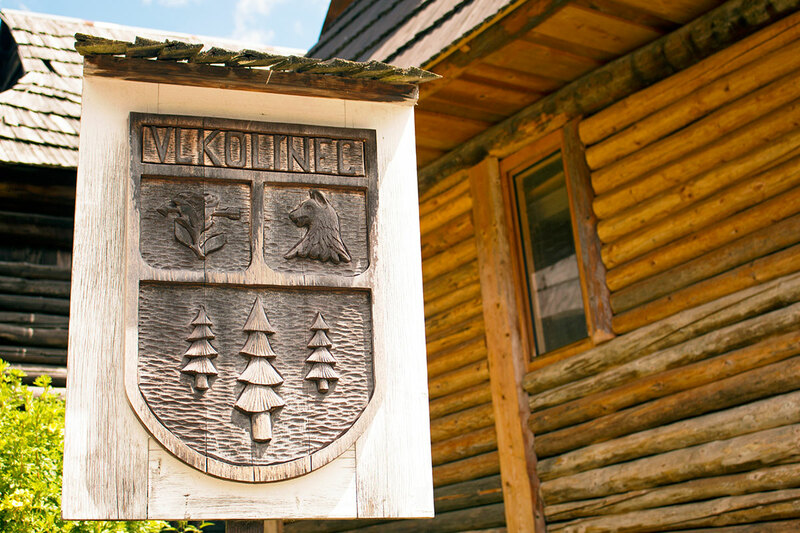 While you visit, keep in mind that Vlkolínec is still a functioning village with twenty residents living in the town so be careful where you wander or point your camera. While the food in Slovakia shares a lot of similarities with neighbouring Central European countries, like schnitzel, goulash and pierogi, the Slovaks have put their own twist on these dishes. Slovakia’s cuisine consists mainly of what was available traditionally in villages so potatoes, dairy products like milk, cheese and butter, and pork feature heavily. The national dish of Slovakia, bryndzové halušky, even features all of these ingredients at once as it is made up of dumplings made from potato, or halušky, with sheep cheese or bryndza on top and lastly cooked bacon and/or sausage sprinkled on top. 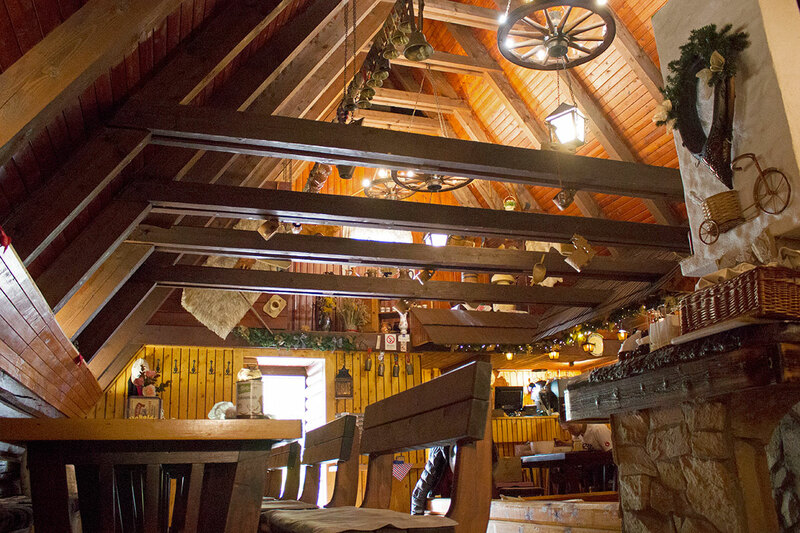 If you’re looking for somewhere to try traditional Slovak cuisine in Jasna, then head to Slovenska Koliba Jasna. The quirky triangular wooden building is a unique experience itself as inside the restaurant is decorated in traditional Slovak country style. ‘Koliba’ means shepherd’s hut and this restaurant feels exactly like that. A welcoming family run restaurant, the roaring fireplace inside makes for an inviting and relaxing atmosphere to stay warm and cosy after a day on the slopes whether you’ve been hiking or skiing. Even when we visited in summer, the fireplace was ablaze. With delicious, top quality traditional Slovakian dishes as well as dishes from the Liptov region, extremely friendly helpful staff who spoke excellent English, we really enjoyed our meal here. 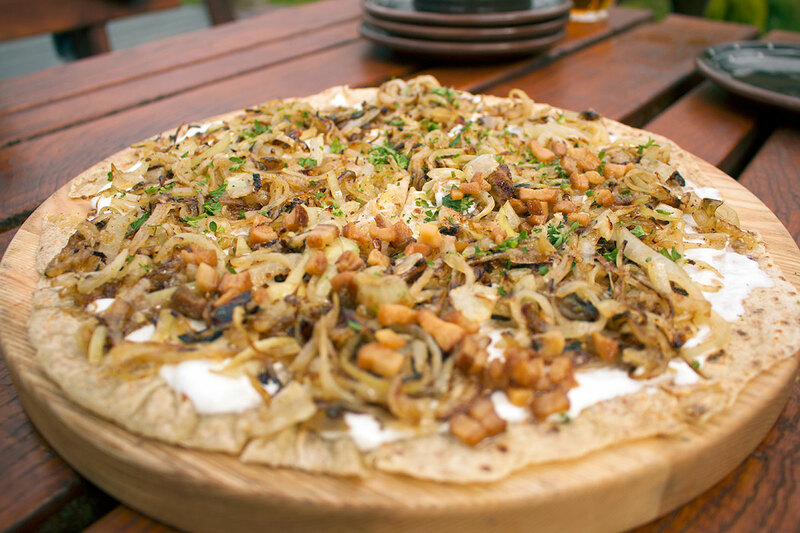 Be sure to try the lokša, a starter for the table that is made up of a potato flatbread topped with bryndza, onion and bacon. The staff even modified this for us as we are pescatarian so they left off the bacon. 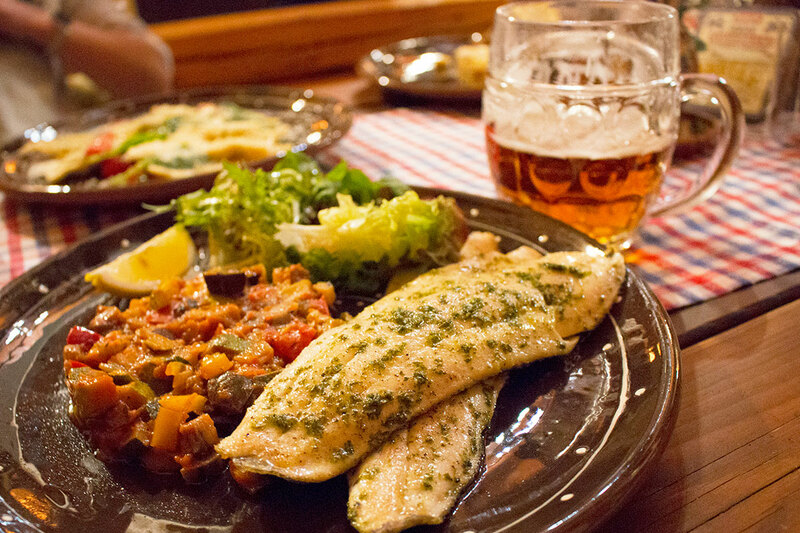 We had the local trout from the Demänovská valley and pierogis stuffed with bryndza for our mains and both were incredibly tasty. 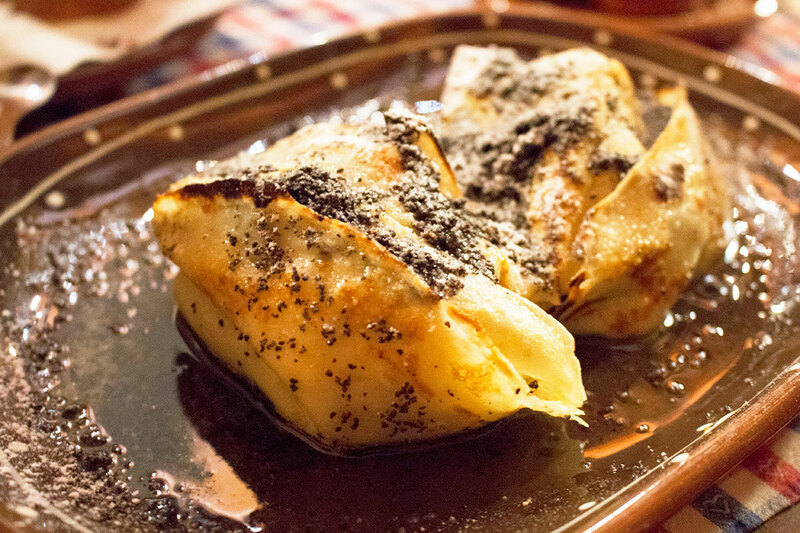 Slovenské palacinky, Slovak pancakes with plum jam, poppy seeds, powdered sugar and butter – delicious! For dessert, we had to try the Slovak pancakes or Slovenské palacinky, which in this region features plum jam, poppy seeds, powdered sugar & butter. We also tried the dessert of the day which was an edible flower pot with cocoa, cherries and white chocolate. Of course, all this is best washed down with a local pivo, beer, and a glass of wine. It’s lucky that you can be so active while in the area – you’ll burn those calories off in no time! If you come across it while in the region, be sure to try medovina. 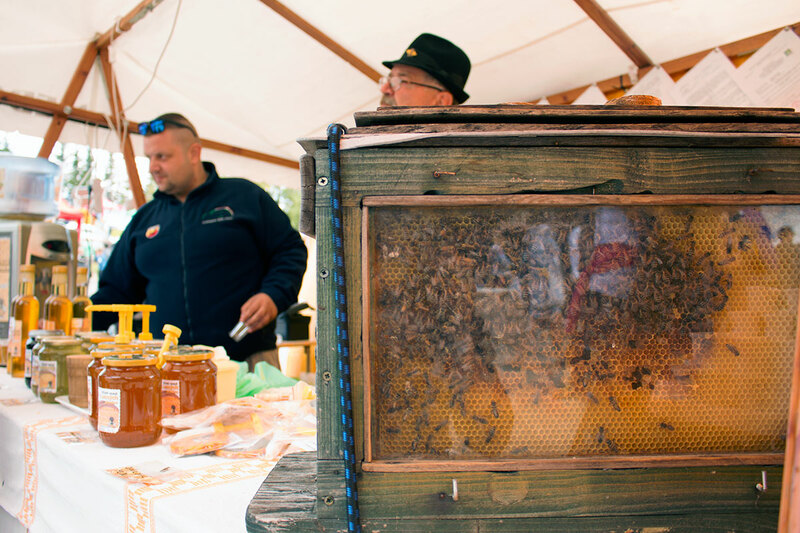 Slovak for mead, medovina is a drink made only from honey, water, herbs and spices and is known to be the oldest alcoholic drink in the world. 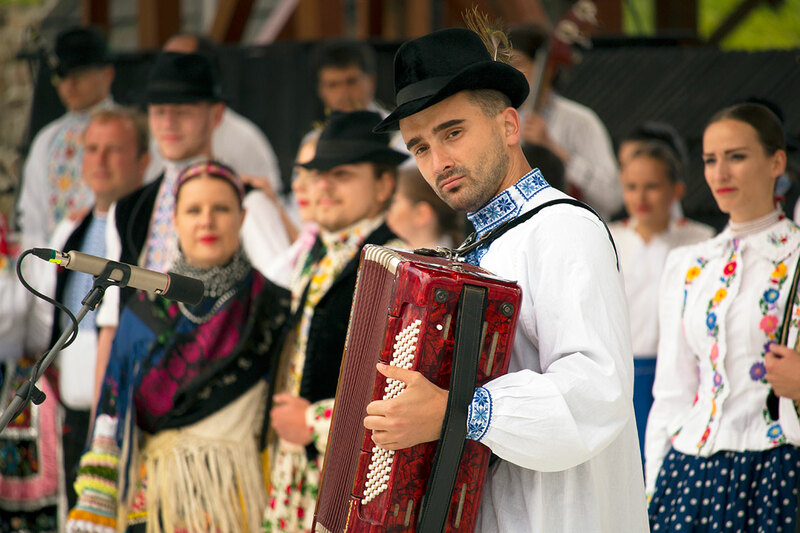 We got to try some medovina at the Východná folk festival and it was deliciously interesting. Another drink to try in while in Slovakia is Tatratea, a tea-based herbal liqueur, that’s considered to be a national drink of Slovakia. Originally known as Tatranský čaj, the drink originated from traditions in the High Tatra mountains where an old custom was to welcome visitors to mountain chalets in from the cold with a cup of hot herbal tea laced with concentrated alcohol. 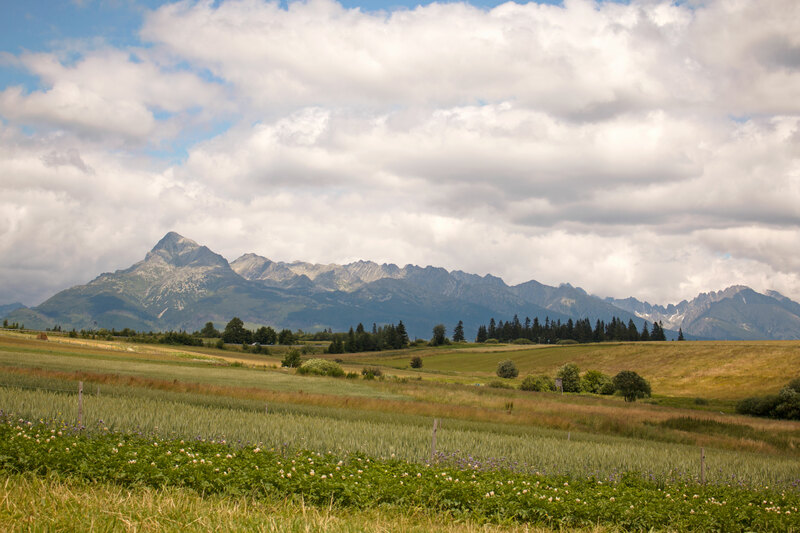 What better place to sample Tatratea than in the Tatra mountains? Tatratea is made from black and white teas, herbs and natural fruit extracts and pure Tatra mountain water. It comes in a variety of flavours and proofs but the Original 52% is the most popular. We tried it in our mountain lodge in Liptovský Mikuláš and we can safely say that it will definitely warm you up when you come in from the crisp mountain air! There aren’t many places in the world where you have the chance to dine in a castle but in the Litpov region, you can. Liptovský Hradok Castle is a privately owned and restored property and is a unique combination of a preserved ruined castle and a Renaissance manor house. 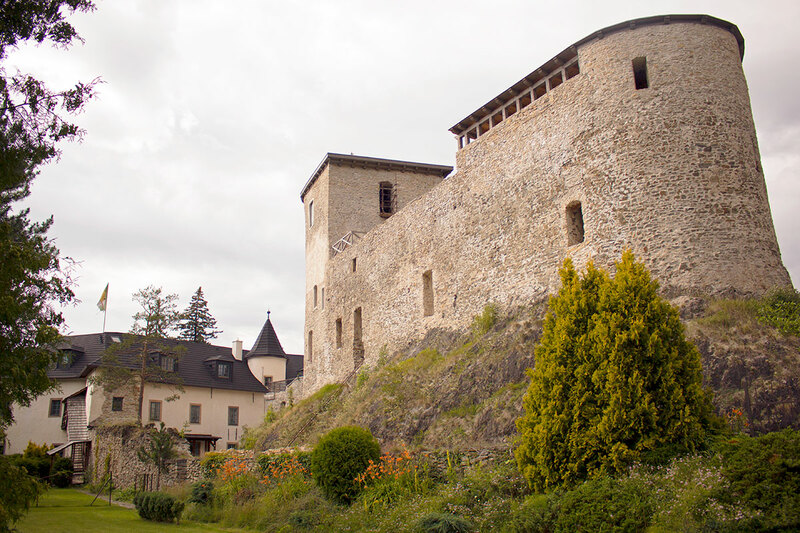 It has recently been refurbished to include a stylish restaurant and accommodation, so you can stay here too if you really want to feel like medieval royalty. You can also do a guided tour of the castle if you book in advance. With more than 1300 mineral spring water sources in the country, Slovakia has long had a tradition of healing spas and thermal springs. In most countries, a trip to a spa is considered a luxury and can often be expensive but in Slovakia, with 22 spa resorts and loads of aqua-parks, they remain very affordable. A great way to relax your aching muscles after a few hard days on the slopes, hiking or skiing. Built on thermal hot springs, just 18km west of Liptovský Mikuláš, Bešeňová offers healing relaxation with outdoor pools heated by geothermal water. There are also a variety of indoor pools, outdoor whirlpools, saunas, a relaxation area. Add to that a wellness spa, accommodation, restaurants and even a children’s sauna and the whole family can relax after a busy few days exploring and adventuring in Slovakia’s Liptov region. Just 5km from Liptovský Mikuláš, Tatralandia Holiday Resort is the largest year-round water park with accommodation not only in Slovakia but also in the Czech Republic and Poland. It has all the usual waterpark features to pass the day away, from 14 pools containing seawater, thermal or fresh water, to 26 tubes and slides for the kids as well as massages, wraps and spa treatments available in the wellness centre. With indoor skydiving and an indoor surf wave on offer, it really has got something for everyone. Definitely check it out if you’re in Jasna. 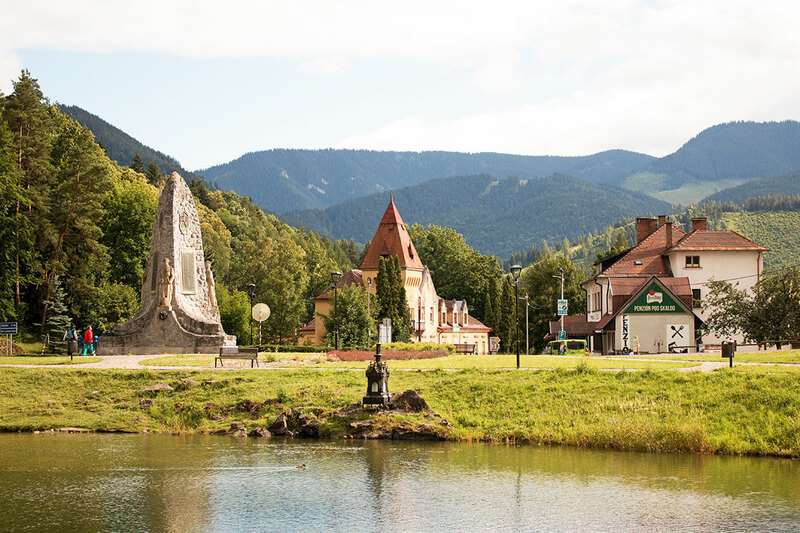 When it comes to finding somewhere to base yourself while exploring all that Jasna and the surrounding area has to offer, we recommend making Liptovský Mikuláš your base. It’s a great jumping off point for all the attractions in the area and it you’re self-catering, it has a huge Tesco and a Kaufland for picking up essentials. We stayed in Liptov Lodge, a cosy, welcoming family-run place and we can’t recommend it highly enough. Located in the small village of Bodice, just outside the hustle and bustle of Liptovský Mikuláš, Liptov Lodge offers the perfect balance of being immersed in the countryside, with the city on your doorstep. Run by an Irish/Slovak couple Andy and Ida, the place is a rustic ski lodge, lovingly rebuilt from traditional Slovak farmhouse buildings. Impressively Andy did most of the rebuilding work himself, so they have quite literally put their blood, sweat and tears into the place – with fantastic results! The old farm buildings were demolished and the lodge was rebuilt from the ground up. Andy and Ida were keen to up-cycle and reuse as much of the original elements of the old farm buildings as possible. 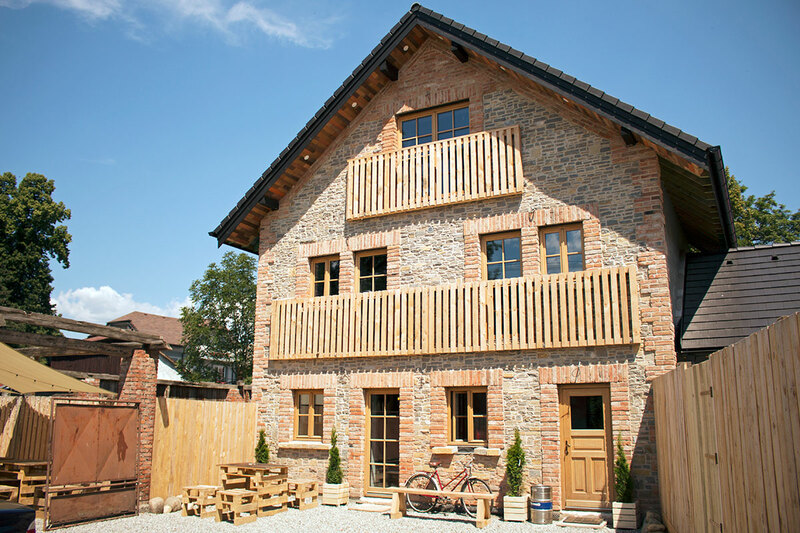 With the reclaimed old brick from the farmhouses, Andy created a beautiful stone façade, quite unique to the area and the internal exposed beams were also salvaged and reused. Rebuilt with energy efficiency in mind and finished with a modern flourish, Liptov Lodge is the perfect blend of old meets new. The place has a boutique hotel vibe and it offers absolutely everything you could need for an extremely comfortable stay. There’s a fridge in each room, tea and coffee making facilities, really comfy beds, blackout curtains and the showers are really powerful too – something that’s well received after a long day out hiking or skiing! Andy and Ida are so welcoming and warm, always available to help out with information on the area or to simply have a chat, and always willing to go the extra mile for their guests. It’s the little things that make a difference and they even prepared a welcome pack for us when we arrived with homemade granola, freshly ground coffee and local treats like butter from a local farmer’s market and fresh bread. Everything needed for a delicious breakfast on our first morning. Ida went the extra mile and made us some local Slovak cheese dishes to try during our stay. We really loved the whole vibe of the place, homely, cosy and welcoming and it felt like we were staying at a friend’s house. 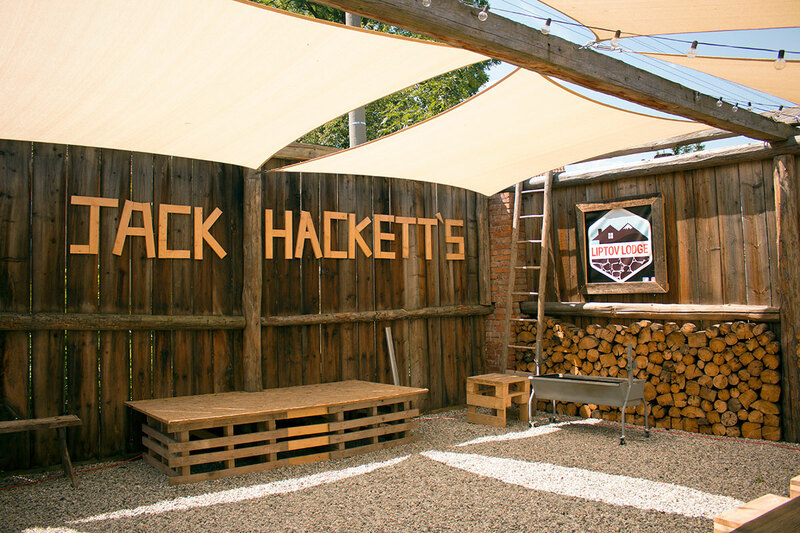 If all that’s not enough to convince you, the lodge is home to Jack Hackett’s Honesty Bar, the only Irish pub in Jasna, with a really tasty beer on tap as well as a selection of Irish whiskies, cans of Guinness, wine and Tatratea. There’s even an outdoor barbeque area as well as free wifi and free parking too. You can book the whole lodge out for a group of eleven and have the place to yourselves or book a double, triple or family room. With a relaxing lounge area with a huge smart TV and a fully equipped kitchen at your disposal, only two minutes’ walk from the ski bus stop in winter, it’s the perfect place for a self-catering ski holiday in Jasna. With its prime location in Central Europe, Slovakia is very well connected in terms of transport. With Ryanair offering low-cost flights to Slovakia into Bratislava, getting there is cheap and easy. There are so many options and you can also choose to fly into Poprad as at only a 40-minute drive away it’s much closer to Jasna. You could fly into Krakow or Katowice in Poland as it’s only a three-hour drive away. You can even fly into Vienna and get a bus or train from there. Košice also has an airport. 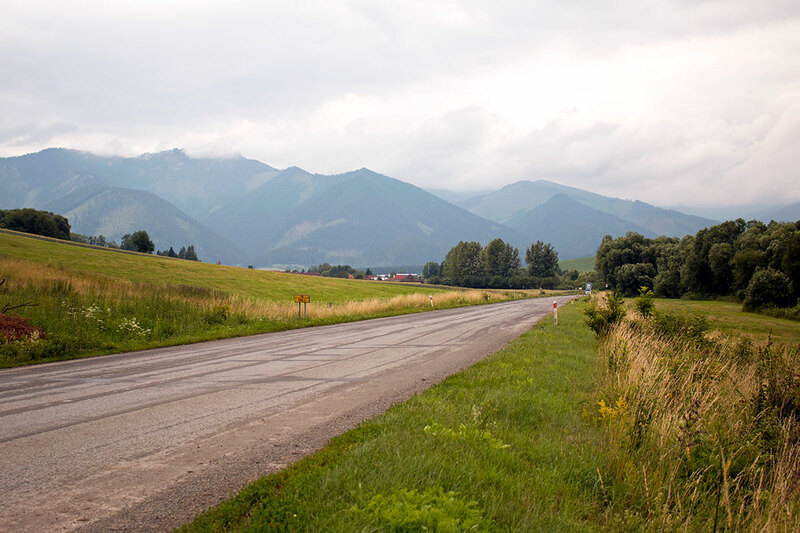 The options for getting to Slovakia whether by direct flight or a flight, bus or train combo are endless. Just a short two-three hour drive or train ride from Bratislava and Košice, Liptovský Mikuláš is pretty much in the centre of the country, so it’s well connected to everywhere else in Slovakia. 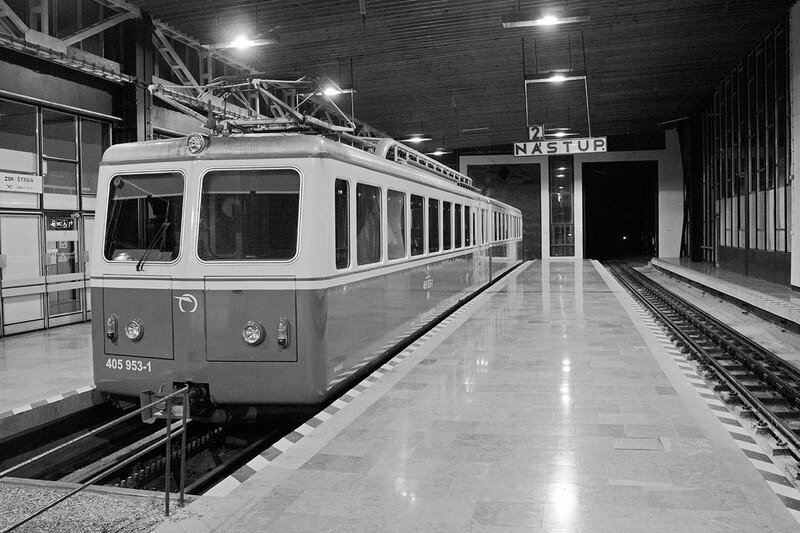 It’s on the train line and the highway that connects Bratislava to Košice, so travelling onwards is easy. 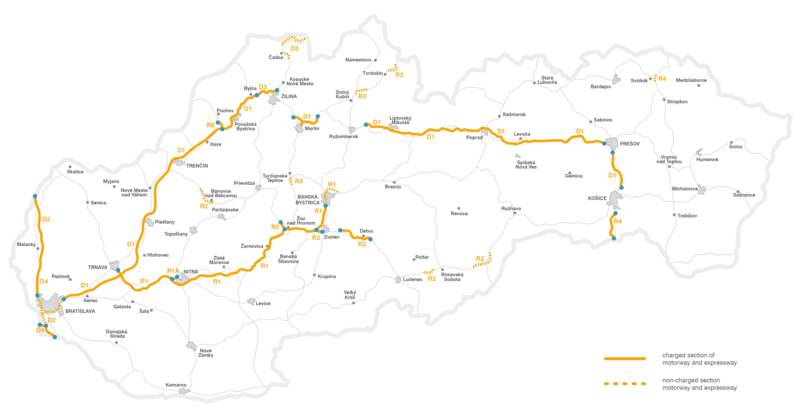 You can get to all major cities nearby like Prague, Brno and Budapest by transferring trains in either Bratislava or Košice or taking a Flixbus from Liptovský Mikuláš or Ružomberok. There are loads of overland transport options for getting there and away. Public transport in the area is pretty good with trains connecting the nearby towns and villages and daily bus services fromLiptovský Mikuláš to Jasna. Public transport generally operates from 5am to 10.30pm. Buy tickets at ticket desks or machines and newsstands near the transport stop. 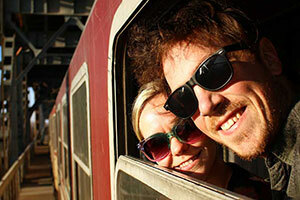 Check out the Slovak rail website here for more information on trains in Slovakia. Tip: Always validate your ticket in the machine once on board a bus or train or risk getting a fine. Even though the public transport system in the area is great, self-driving is always a great option for getting around anywhere. Roads in the region are quiet and in good condition and the mountain views make for an epic road trip. 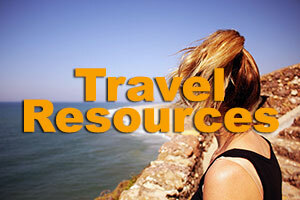 Rental cars are available in Bratislava, Košice and Poprad. There is zero tolerance for drink driving and it is an offence. If you are fined for a traffic offence be sure to ask for a receipt. EU driving licences and a photo ID are generally accepted in Slovakia. If you’re from outside the EU you may need an International Driving Permit, check with your car rental agency. Nálepka or highway vignettes are required on all green-signed motorways and hefty fines are imposed for not having them. The road from Liptovský Mikuláš to Poprad is a charged section. You can buy these toll stickers at petrol stations, post offices or border crossings or online here but rental cars usually have them already. Be sure to check first. In cities, parking restrictions are rigorously enforced. Be sure to buy a ticket from a machine, attendant or newsagent in old-town centres. In some places, you can pay by SMS but this is currently only available to those with Slovak SIM cards. Headlights should always be on and drivers must give pedestrians right of way at crossings. Winter tyres are compulsory in places where roads are likely to be covered in snow, like Jasna and the Tatras national parks. 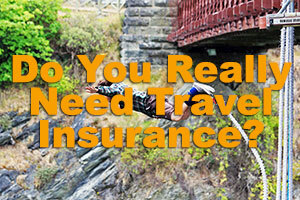 Check with your rental car agency to see if these are provided. Insider Tip: Get yourself a Liptov Region Card for heaps of discounts on everything from attractions, activities, shops and services, to cafes and restaurants in the area. You can buy Liptov region cards at the tourist information centre in Liptovský Mikuláš or Ružomberok for €5. 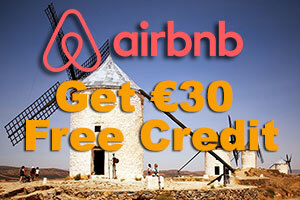 You can also get them from select hotels for €3 and other partner hotels for free if you stay a night with them. 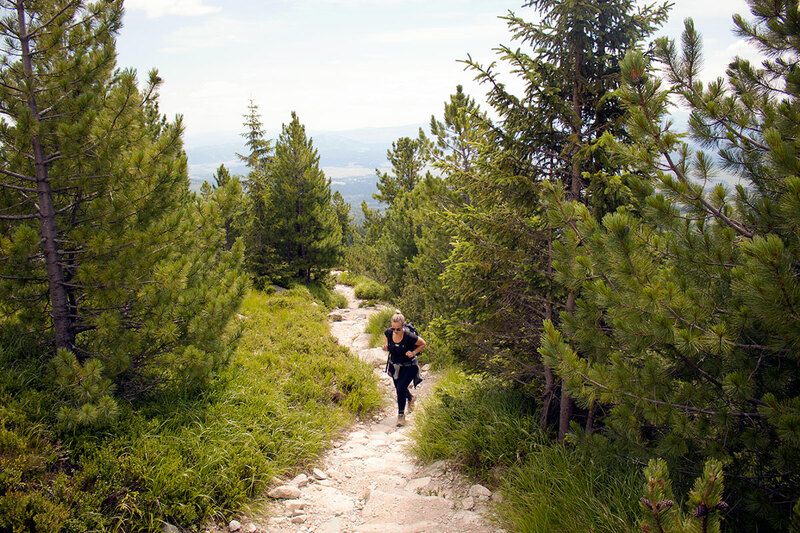 Get your hiking boots on and get to Slovakia! It doesn’t take a crystal ball to see that Slovakia is probably not going to keep its place in the list of the lesser visited countries in Europe for long. Jasna is already one of the top places to visit in Slovakia in winter and it’s only going to grow in popularity. With so much on offer in the surrounding area and some of the best attractions in the country in easy reach, Jasna, Slovakia is a year-round destination for activity, adventure, family fun, hiking, culture and relaxation. Everyone is covered! 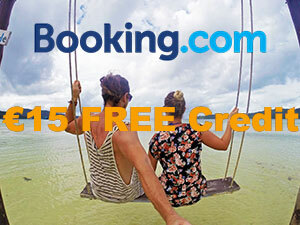 Get there before the crowds do – you’ll be glad you did! Have you been to Slovakia? 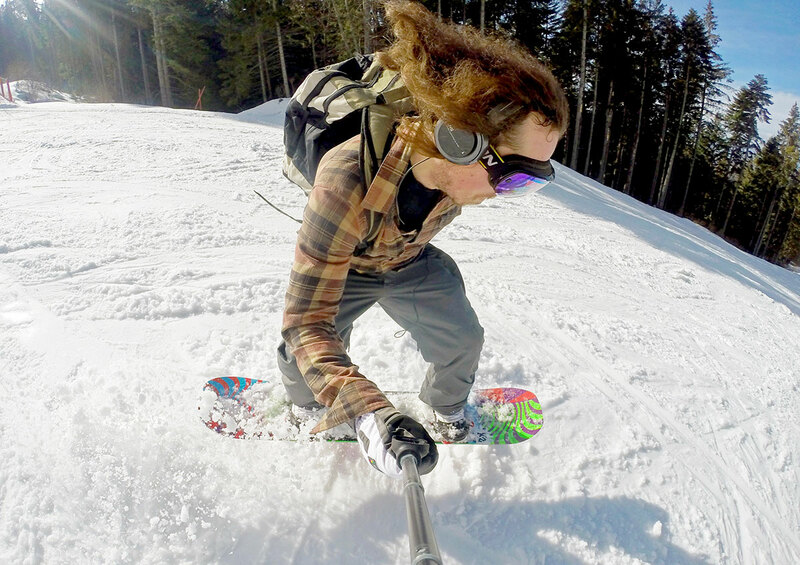 Did you go for a ski trip or to go hiking? 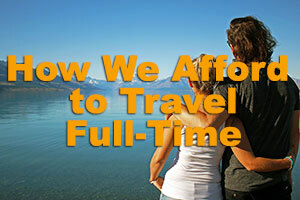 Maybe you went for a quick weekend break in Bratislava? Let us know what you thought of this central European gem on the comments below! That’s a great read. So much to see and do in the area. I can’t wait to get hiking them trails. Amazing post. Demänovská Cave of Liberty looks good to visit. Thanks for sharing! Thanks so much Pat! Demänovská Cave was really really impressive – well worth a visit! 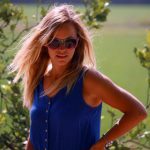 Hi Noelle, I’m so interested in this article and like to explore Slovakia. 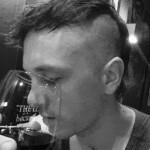 Can you suggest places to see in a three days tour? I will put Slovakia on my list of next hiking destination. Looks awesome. We visited Slovakia last year. Aside from it’s stunning beauty, what I like most is the place is it is not over crowded. Course we were there in September – maybe after many tourists had left already.